The American Bison (often referred to as a Buffalo) is an important part of American history and one of America’s greatest big game animals. Doug felt impressed to create both maquette and monument to depict both the grace and power of this animal. Originally commissioned by the L.D. 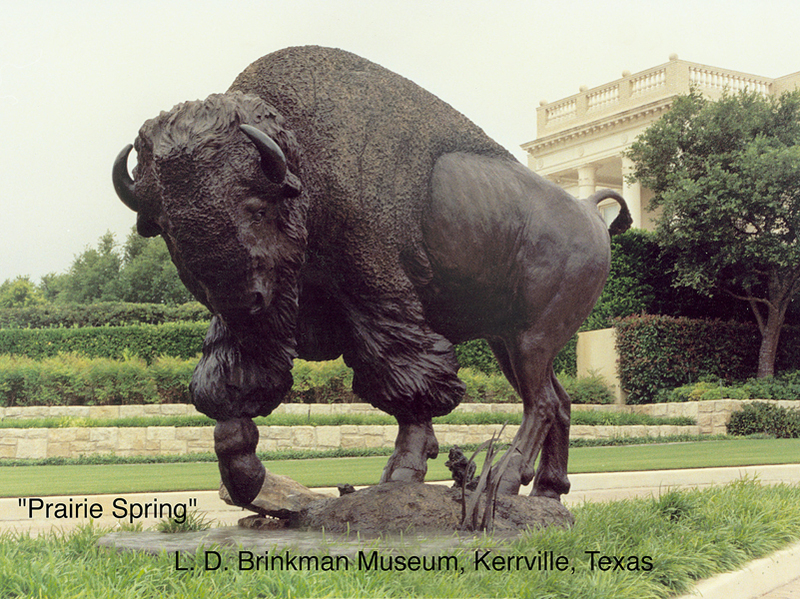 Brinkman Museum in Kerrville, Texas.